Slightly over-stated, perhaps, but the arrival of two of these stunning birds in the far south west of Cornwall is certainly newsworthy. They turned up in Mylor churchyard and for several days now have been gorging themselves on Yew tree ‘berries’. 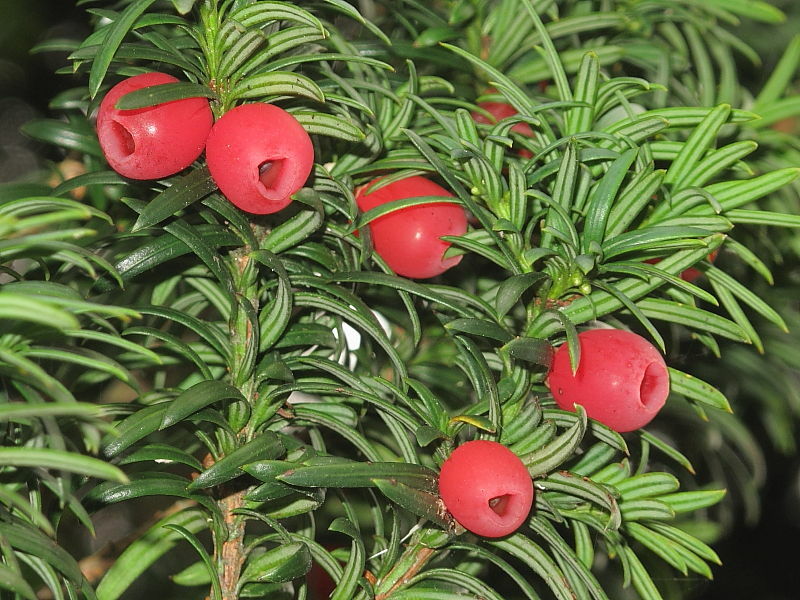 Which, as I understand it, isn’t strictly true as Yew trees are members of the conifer tree family and consequently don’t have berries but instead have seed cones, even if they do look like berries! Anyway, these two fabulous looking birds seem to have found themselves a well stocked larder and a safe haven from the severe Scandinavian weather. 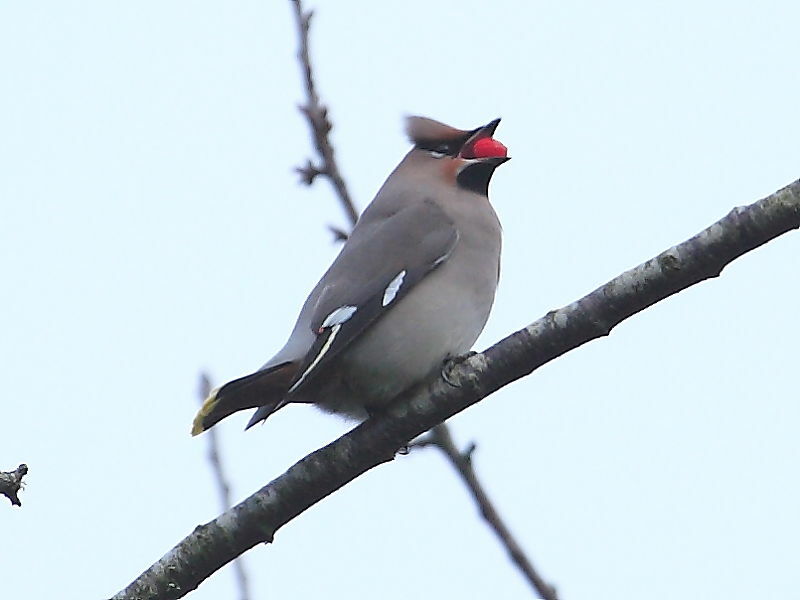 It was a shame the light wasn’t better for photography as these are normally one of the most photogenic of all birds likely to be seen in the British Isles, as the Waxwing in Penzance last year showed. Over-exposing three stops coupled with some futile attempts on the computer to enhance the images and to offset the contrasting light background and dark bird was only ever going to produce a record shot. At least poor lighting doesn’t prevent Waxwing identification. 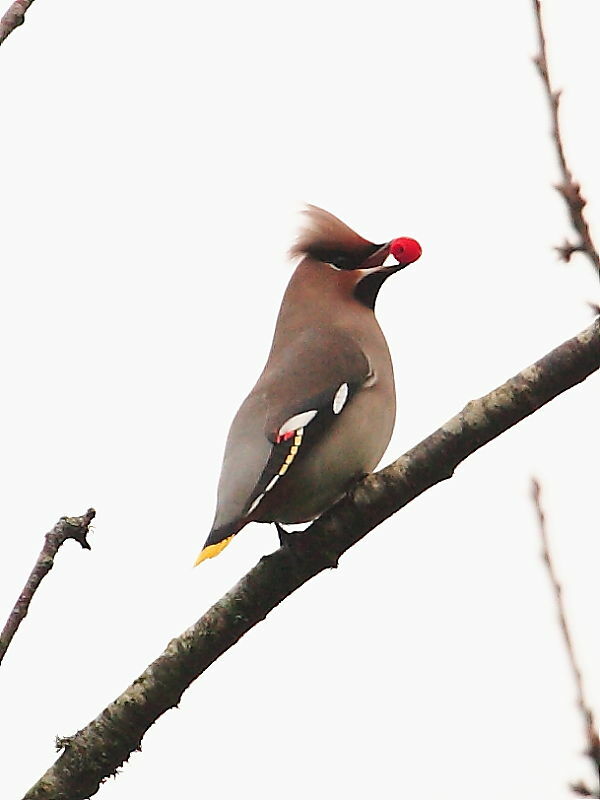 These showy birds, with their feathery tufted heads, can even be identified by their silhouettes. Following in the wake of a string of identification testing ‘little brown jobs’ it was a welcome relief for the over-worked brain cells. 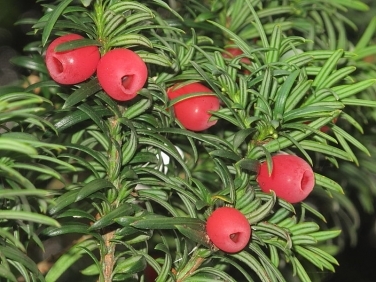 However, what did occur to me as I watched them swallow one after another of the supposedly poisonous fruits of the Yew tree was why they didn’t fall off their perch! Well, a little research later and I’d learnt that it was only the seeds inside the soft cones that are poisonous and that many birds are capable of extracting the goodness from the red juicy outer layers before passing the seeds through their bodies in tact. And, wow, these two Waxwing certainly demonstrated how to pass seeds through their systems! Red discharges blighting many an image.